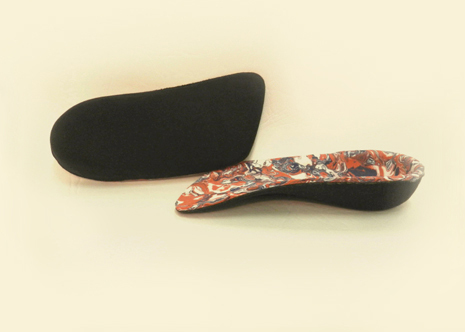 USAGE: A rear foot controlled, flexible orthoses for the patient that is active but needs substantial shock absorption. This is our most popular cross trainer device and works well for patients involved in racket sports, basketball and the serious walker. This orthoses also works well in a work boot. 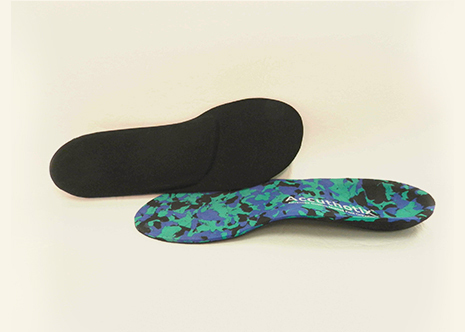 USAGE: This orthoses provides moderate control of subtalar movement. Three flexible material thicknesses allow different degrees of control. 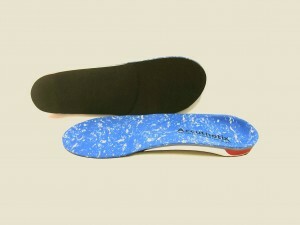 This orthoses is extremely light weight and fits well into running shoes and sport cleats with a minimal amount of bulk. Best suited for the true runner and athletes using cleats for sport such as soccer, lacrosse, baseball, golf etc. USAGE: A fully functional device with mild, moderate or semi-rigid control for pronation or supination. Children with flexible deformities can tolerate more control of the sub-talar joint. USAGE: For the pediatric patient who presents with severe Pes Planus. 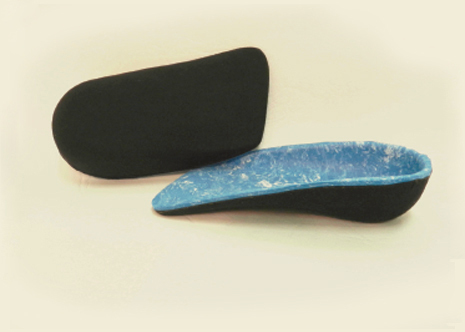 This orthoses provides a fully molded heel cup and high medial and lateral flanges to stabilize this flexible deformity. USAGE: For the athlete who weighs over 225 lbs and engages in moderate to heavy training such as a football player or weightlifter or your extremely overweight patient. 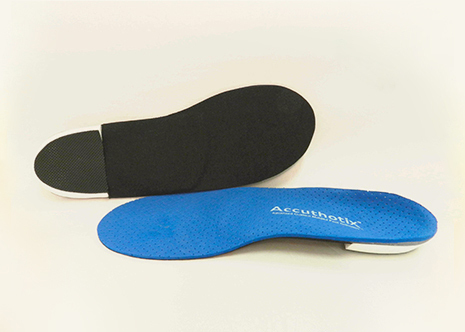 Provides maximum control for an excessively pronated or supinated foot. MATERIAL: 3mm-4mm high-density polypropylene shells. Soft EVA arch reinforcement 25 durometer. POSTING: 65 durometer EVA, rearfoot extrinsic post, slip-resistant posting caps. TOP COVER: 3mm EVA full length. BOTTOM COVER: Black suede full length.